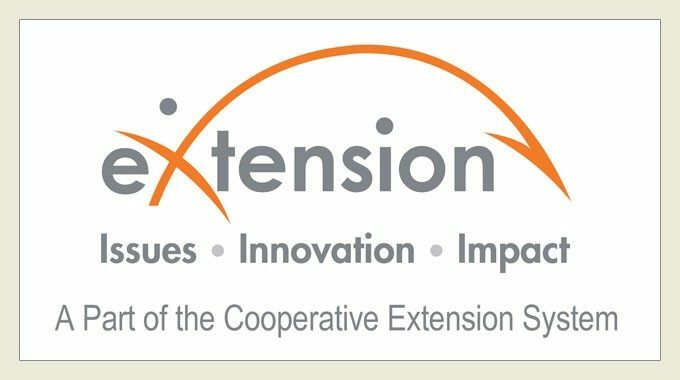 Extension faculty — agents and specialists — work together to meet the ever-changing needs of the agriculture industry. Follow the links to the right to explore the work we are doing in a particular area. Extension agents serve as important links to a broad base of research, much of which occurs at 11 agricultural research and Extension centers (ARECs). Located throughout the commonwealth, these field laboratories allow scientists to tailor projects to Virginia's varied soil, vegetation, climate, and communities. Soil samples are analyzed for specific soil nutrients to determine proper application rates of fertilizer and lime for optimum plant growth. Routine analysis includes soil pH, P, K, Ca, Mg, Zn, Mn, Cu, Fe, and B. Soluble Salts and Organic Matter tests are also available. Completed soil test results, along with a recommendation on fertilization and liming, are mailed to the client. Sampling and mailing instructions are found on the sample boxes and forms, which should be sent directly to the lab with the soil sample and payment. Soil sample boxes and information sheets are available at your local Extension office. See Virginia Tech Soil Testing Lab for more information. Laboratory testing of forages for nutrient content and quality is an important management tool and can be used to detect feed management problems, balance an animal’s ration, and predict how much forage an animal will consume. Knowing the quality of the forages you are selling or buying is economically wise as well. It is important to know the nutrient content of forages before feeding, especially dry matter, crude protein, fiber, and estimated energy. Your local Extension agent can provide forage sampling instructions, testing, and an interpretation of the results for your farm. See Forage Testing for more information. The Virginia Tech Insect Identification Lab provides identification and control recommendations to Virginia Cooperative Extension agents. Insect samples and insect damaged plant material from any structural, plant, or animal hosts are accepted. Insects are identified to the lowest taxonomic level needed for control decisions. Control recommendations accompany insect identification results, which are sent back electronically to each Virginia Cooperative Extension office. Digital photos can also be used for identification. Many insects can be identified and control recommendations provided by your local Extension Office. See Insect Identification Lab for more information. Funded through the Virginia Department of Conservation and Recreation (DCR), manure samples are sent to the Clemson University Agriculture Service Laboratory for testing. Samples are analyzed for: % Moisture, Total Nitrogen or TKN, Total Phosphate, Potash, Calcium, Magnesium, Sulfur and certain micronutrients reported in pounds per 1,000 gallons and as a percentage on a wet basis. Containers, sample forms, and instructions can be obtained from a local Extension office. Your local Extension agent or DCR nutrient management specialist should be consulted for interpretation of the results. See Nematode Assay Clinic for more information. The Plant Disease Clinic provides plant disease diagnostic services to Virginia Cooperative Extension agents. Plant samples with problems caused by pathogens, including fungi, bacteria, viruses, and nematodes, in addition to plant samples with environmental or other abiotic problems may be submitted to the Plant Disease Clinic. Diagnosis is provided for any type of plant. Other services provided by the Plant Disease Clinic include mushroom identification and identification of non-weedy plants. Digital photos can also be identified. The Plant Disease Clinic is a member of the National Plant Diagnostic Network (NPDN) within the region of the Southern Plant Diagnostic Network. The mission of the NPDN is to enhance national agricultural security by quickly detecting introduced pests and pathogens. Many plant diseases can be identified and recommendations provided by your local Extension office. See Plant Disease Clinic for more information. The Virginia Tech Toxicology Laboratory provides analyses for heavy metals, minerals (deficiencies and poisonings), Vitamins A and E, pesticides, rodenticides, mycotoxins, nitrate, and cyanide. The majority of samples submitted to the laboratory deal with forage and feed analyses for mycotoxins, nitrate, and cyanide. Mycotoxins are typically not a problem in hay or haylage. Your local Extension office can help you with samples for toxicology. See Toxicology Resource Laboratory for more information. The Virginia Household Water Quality Program (VAHWQP) seeks to improve the water quality of Virginians using private water supplies. Since the program started in 1989, VAHWQP drinking water clinics have been conducted in 82 counties across the state. So far, samples from 12,000 households have been analyzed and results confidentially returned to participants. Drinking water clinics are organized by your local Extension Agent and Virginia Tech faculty in the Biological Systems Engineering Department. Participation is voluntary and all information is kept strictly confidential. Anyone with a private water supply system (including wells, springs, and cisterns) may participate. Virginia Cooperative Extension trains citizens in proper well construction and location, appropriate maintenance and protection of wells and springs, interpretation of water tests, and water treatment options. See Virginia Household Water Quality Program for more information. The Weed Identification Lab provides identification and control recommendations to Virginia Cooperative Extension agents. If possible, weed samples should include leaves, stems, roots, flowers, and seed. Digital photos are also identified. Many plants can be identified and recommendations provided by your local Extension office. See Weed Identification for more information. Virginia Cooperative Extension provides training, education, and technical resources for citizens seeking to be certified by the Commonwealth of Virginia as pesticide applicators. In Virginia, all private users of restricted-use pesticides, all aerial applicators, and most commercial applicators must be certified. Commercial applicator certification requirements depend on the applicator's class and scope of work. The Commonwealth of Virginia requires everyone applying pesticides for hire in the state to be a certified Commercial Applicator or a Registered Technician working under the direct supervision of a certified Commercial Applicator. The same is true for government employees that use pesticides on the job. Private Applicators of pesticides such as farmers or nursery people must be certified to purchase or use pesticides categorized as restricted-use. For more information, contact your local Extension agent or Virginia Tech Pesticide Programs. Beef Quality Assurance (BQA) is an educational program developed to ensure that beef and dairy cattle are managed in a manner that will result in a safe and wholesome beef product for the consumer. The Virginia BQA Certification Program is based on scientific research and national guidelines. The program enables beef and dairy producers to enhance their product, maximize marketability, and strengthen consumer confidence. Virginia Cooperative Extension provides hands-on training and technical assistance and certifies livestock producers. For more information, contact your local Extension agent or Virginia Beef Quality Assurance. This training program is a cooperative effort of Virginia Cooperative Extension, Virginia Department of Agriculture and Consumer Services (VDACS), and Virginia Department of Conservation and Recreation (DCR). Fertilizer Applicator Certification Training (FACT) consists of 10 online, self-paced modules, which cover the knowledge areas in which one must be proficient in order to become a Certified Fertilizer Applicator (CFA) in Virginia. Passing the exams for all modules meets knowledge requirements to receive certification from VDACS. For more information, contact your local Extension agent or visit Fertilizer Applicator Certification Training. Virginia Cooperative Extension Master Gardeners (VCE-MGs) are volunteers with Extension dedicated to working with the community to encourage and promote environmentally sound horticulture practices through sustainable landscape management educational programs. VCE provides training and certification. For more information, contact your local Extension agent or Virginia Master Gardener Program. Citizens who enjoy the outdoors, are curious about nature, and want to be a part of natural resource management can become Virginia Master Naturalists. Local chapters provide training and certification. The Virginia Master Naturalist Program is jointly sponsored by Virginia Cooperative Extension, Virginia Department of Conservation and Recreation, Virginia Department of Forestry, Virginia Department of Game and Inland Fisheries, and the Virginia Museum of Natural History. For more information, contact your local Extension agent or Virginia Master Naturalist. Over one million homes in Virginia rely on private well, springs, or cisterns. Virginia Cooperative Extension trains volunteers in all aspects of water quality, source water protection, and proper well construction and maintenance and provides certification. For more information, contact your local Extension agent or Virginia Master Well Owner Network.